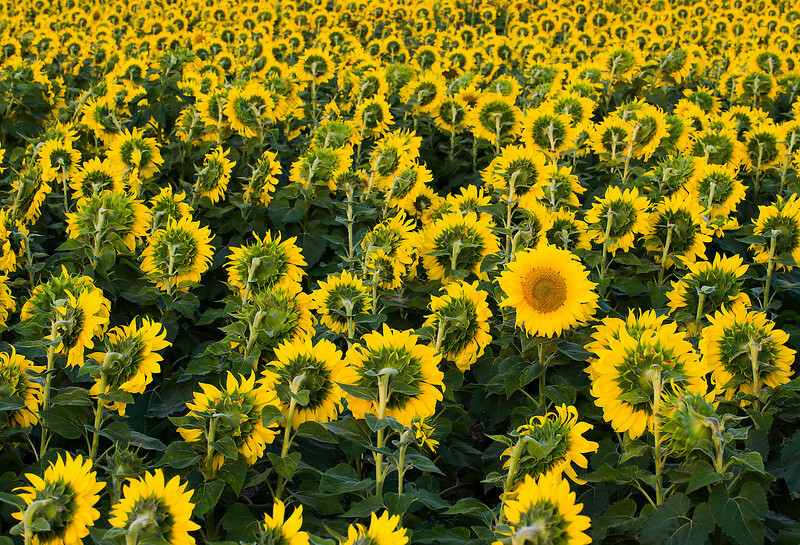 A few sunflowers are caught facing the wrong way. There is always one individual that stands out in a crowd. This sunflower is the only one pointing towards the sun.